Writing about the weather in your novel, and writing about it well, is critical for an atmospheric story. A simple description of storm clouds gathering on the horizon, say, can foreshadow troubled times ahead in the plot, or act as a symbol for the character’s mood. And it can do it in a short space. It’s easy to forget just how important a part of our everyday lives the weather is. We think about it so much that we’re rarely conscious of thinking about it at all. But it affects everything. · Sometimes even our survival. Ignoring the weather in the stories we tell just isn’t an option. In the real world, we chat about the weather even when there’s nothing much to say. Which is fine – small-talk helps to oil the cogs of society. But having two characters in a novel talk about unremarkable weather, or having the narrator describe a perfectly ordinary rain shower, say, can send the reader straight to sleep. Another problem with writing about the weather is that it’s easy to resort to cliches. · The rain lashed down on the rooftops. · The heat rose off the tarmac in shimmering waves. · The wind made the tree branches dance. Good descriptive writing should be fresh, original, memorable – even unexpected. But because we talk about the weather all the time (and read so much about it in fiction, too), finding unique and exciting ways to describe thunderstorms or blizzards or perfect summer days can be tough. Here are four reasons why weather matters in fiction. Not only that, it’s a crucial part of the setting, particularly when the weather shifts from being ordinary to extreme. · Freezing. Everywhere is white with snow and it’s tough keeping the car on the road. · Scorching. It’s the hottest August day on record… and the air conditioning is on the blink. · Stormy up ahead. And they’re driving right into it! · Foggy. They can barely see the road in front of them. Each of these conditions would give the scene a totally different feel. But even when the weather is not especially remarkable – a warm summer’s evening, a cold and bright morning in autumn – it still gives scenes very different moods and atmospheres. But if you don’t mention the weather at all in your writing, not even briefly, an important element will be missing from the mental image in the reader’s mind. Just as the weather affects our mood in the real world, so it affects the mood of a character in a novel. · If a character is feeling blue, a cold and wet day will form the perfect backdrop. · If the sun comes out, it’s a sign that their spirits are rising. The viewpoint character’s mood complements or contrast with the weather outside is just another small way to add dimension to your fiction. Even the most ordinary weather can affect the plans of people in the real world and, also, characters in novels. · Rain can spoil a wedding. · Fog can disrupt travel plans. · Drought can play havoc with a prized garden. Make the elements more extreme and you ramp up the stakes. 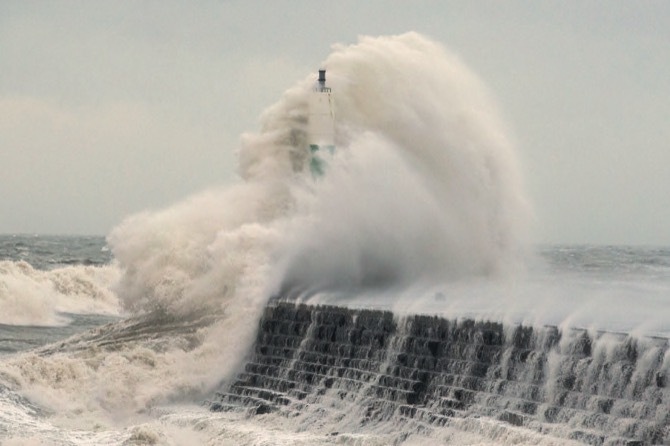 Writing about extreme weather can be a primary source of conflict in a novel. I mentioned earlier that weather can affect a character’s mood. Taking this one step further, you can have it actually symbolize how a character is feeling inside. Suppose a mother is worried that her young son is late back home. As she stands by the window waiting for him to return, she notices the wind picking up. At this point, she is merely concerned. One hour later, though, the garden furniture is cartwheeling across the lawn… and by implication, the woman is really starting to panic. The writer doesn’t even need to describe her panic. 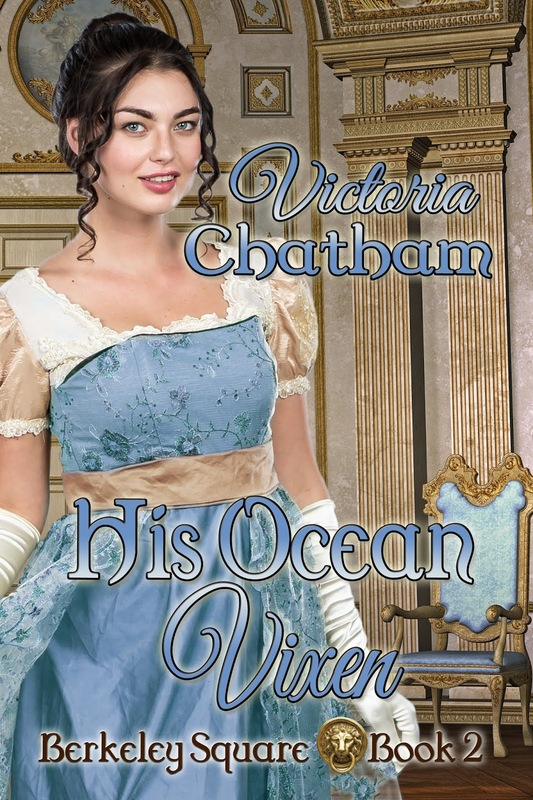 The scene outside tells the readers everything they need to know about how the woman is feeling inside. If you can, mention it in every scene. Even if the weather isn’t that important to a scene, still write about it, however briefly. When Mary left for work the next morning, it was still raining. It was colder than Frank had expected when he stepped out of the house. The snow started right after lunch. There are no fancy descriptions here – no adjectives, no metaphors. The reader can then take their experience of rain, say, and use it to imagine a rainy scene. When Mary left for work the next morning, the sky was as dark as slate and the icy north wind was blowing the rain straight into her face. The entire sky was white with snow. The sound of a dog pawing at the back door waiting to be let inside. Use the best details you can imagine. Engage all of the senses (how the weather sounds and smells and tastes). The wind began to blow, hot and restless. It drowned out the sound of my fists pounding against the door. It drowned out my cries for help. I felt clammy, yet the heat of the day was trapped inside the attic. The heat clawed at my like the talons of a vulture—cruel and without mercy. Sweat poured down my body. My legs were heavy with fatigue. Allowed myself to rest upon the floor. White spots danced before my eyes like moths. My head pounded with a wild throbbing pain. Sister Enid reminded me of Old Woman from my band. She had appeared to be like everyone else. She ate, she moved about, she spoke. Only she wasn’t really like other people. She was a woman in an empty body. Old Woman’s sound had been taken from her. . .
Did my details draw you into the scene? 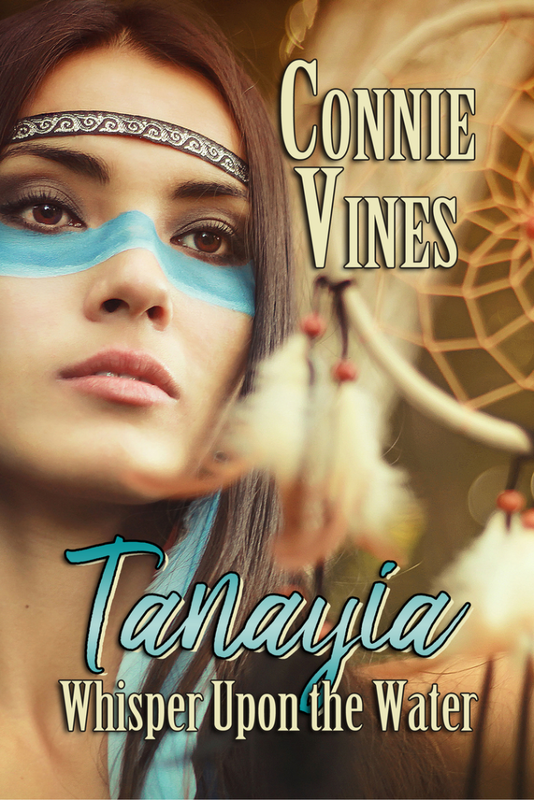 Did you experience Tanayia's reality? Do you have a favorite 'weather scene' in a novel you've read? 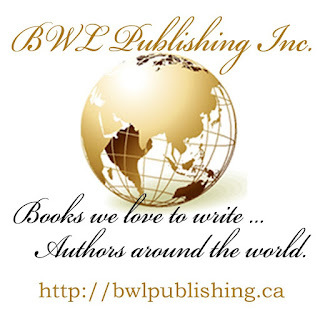 Thank you for stopping by today at BWL Insider Blog. You can’t stop the proliferation of technology. The visionaries warned us in the nineties that progress would require a severe loss of privacy. They weren’t kidding. We already have AIs in our homes, who talk back and do our bidding. They tell us when to get the pie out of the oven, when to order more milk and when to change the air filters. They can also record our conversations. The cameras on our computers can be activated without our knowledge. Most houses have motion-activated cameras that capture the life of the entire neighborhood. 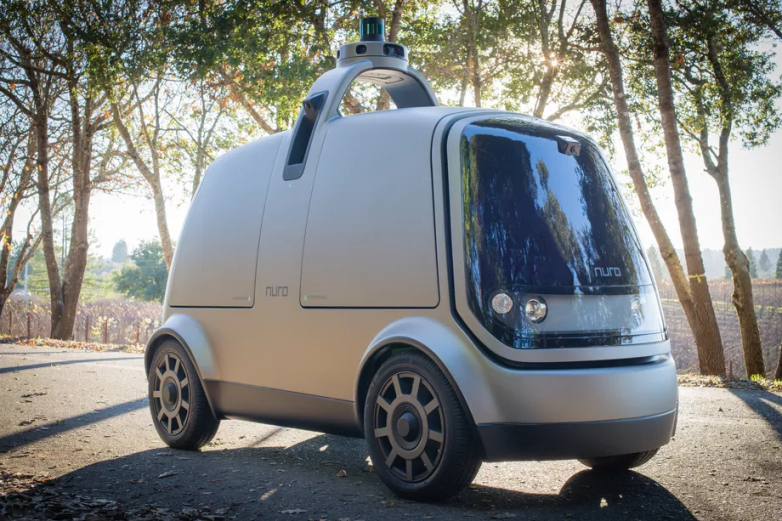 Self-driving cars are delivering our groceries. More and more teenagers who are not strong enough to sustain the pressure and the bullying on Social Media commit suicide. I see it as a gruesome reminder of what unchecked technology can bring to our lives. Or is a natural selection occurring, weeding out those unable to adapt? Let’s face it. It’s a new era. Where will it stop? What will the future look like? Soon we might improve embryos in the womb, or grow babies in test tubes. We might even make ourselves more intelligent. Human nature can adapt, but not as fast as our technology. I believe there will be a breaking point, and a severe backlash. Some visionaries believe in robot uprising. It could happen. Or the divide between the rich and the poor will cause a revolution and topple governments. 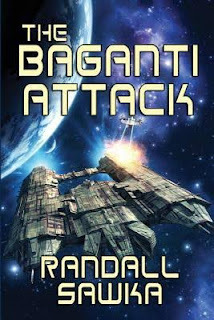 Or a war, or a computer glitch will destroy most of the planet, and leave society in shambles. 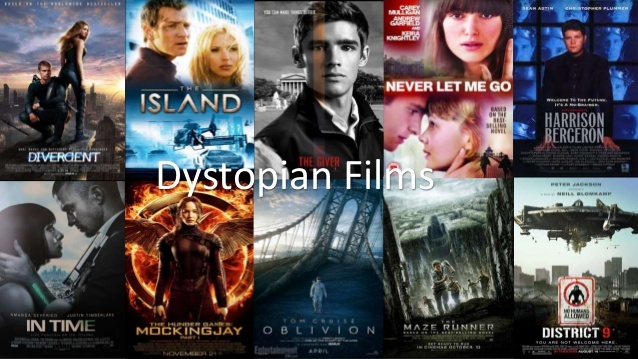 These are the usual themes of dystopian novels and movies, like the Hunger Games, the Divergent series, the Mad Max series, the Postman, the Terminator series, and many others. I’m of the opinion that yes, some segments of society might rebel, and no, we will not destroy ourselves or lose all our technology. We shall adapt enough to survive. Then, when space exploration develops and becomes accessible to most, I believe many of us will sail into the unknown, like the adventurers who followed Christopher Columbus, like the pioneers who rode their wagons West. Some will look for riches, others for fame, for adventure, or for knowledge and the study of alien species. Others yet will look for a simpler way of life, for religious tolerance, for a chance to raise their family in peaceful surroundings. Despite the rapid evolution of our technology, I believe we humans will slowly evolve, but our passions will remain the same. We’ll learn from our mistakes, we’ll love, we’ll fight for our freedom, and we will continue to do so, as long as the human race exists in this universe. That’s why I enjoy writing the future. No matter what the technology becomes, humans will always be humans. 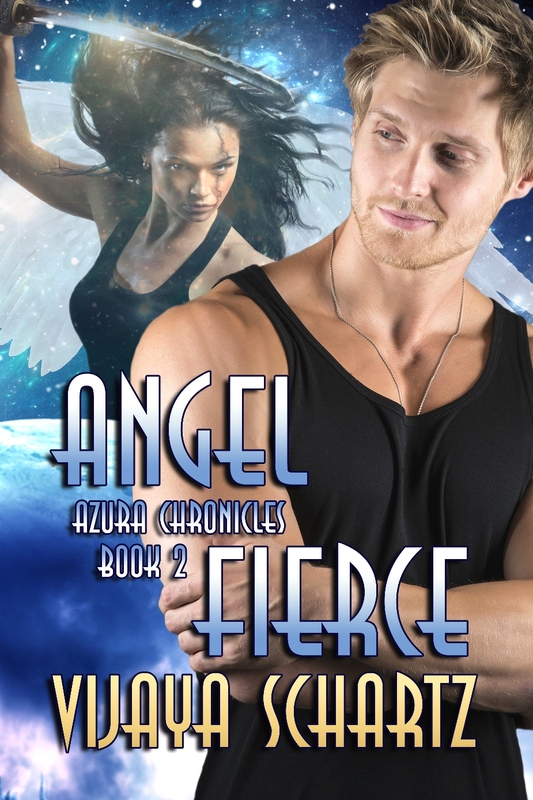 My latest novel, ANGEL FIERCE is set on a planet populated by angels. I often wonder what my mother would think if she were to return to the world as it is today. She was born over 130 years ago, so when she was a child there were horse driven buses on the roads of London. A horse drawn vehicle was still delivering the milk, bread and coal, even when I was a child. To her last days, our mother was scared of a telephone and didn’t understand how it could possibly work. It was a struggle for her to get used to her first refrigerator. She reared a huge family and kept them all as clean as she was able without a washing machine. No wonder her hands were wrinkled and her fingers bent with arthritis in her later years. I can recall when I was small that she sat in the armchair some afternoons and said, “I will just close my eyes for five minutes.” And, that was what she did, within minutes she was up and being busy again. 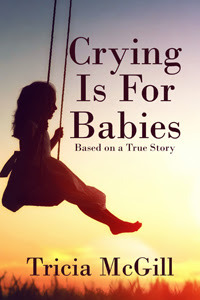 All these thoughts were brought to mind again because of writing my latest book; Crying is for Babies, as the story begins in 1931 when one of my sisters had just begun at school at the age of three. They started early in those days and finished usually at fourteen, when they went straight out into the workforce. There were no kindergartens or creches. If a mum had to work then a neighbour or relative would look after her baby. My older sisters all worked in the clothing industry as I did eventually, where there would be dozens of machinists slogging away over their sewing machines. How times have changed in that department, you’d be hard-pressed to find a factory in Australia and I guess England, that produces clothing, as every item we buy nowadays is made in China, Bangladesh, or similar. Our coal was delivered by a coal-man who hoisted a huge bag of coal onto his broad back and then opened the coal-hole in our front step, and shot the contents of the bag down into our cellar. I loved the smell of that little room. The coal had to be then brought up in the coal-scuttle to keep the fire going in the living room. Our mother would bank it up every night before going to bed with coal dust so that it was still smouldering next morning and we had at least one warm room. We could bake potatoes in the ashes, or chestnuts (Mm, I haven’t tasted a roasted chestnut in years) or sit there holding our bread to toast it by the fire. perform every task under the sun for them at the touch of a button, or the sound of their voice, don’t know what they are missing. Our whole family would get together around the fire in winter and talk about everything and anything. I’ll bet most families these days do not even spend more than a few minutes just sitting and discussing what is going on in their lives. I know of families who do not even sit together at mealtimes. I’m glad I have these memories to cherish, but what memories will they have—they are mostly staring at their mobile phones and overworking their thumbs. Even in the doctor’s waiting rooms, nobody chats to their neighbour any more as they are all too busy on their phones. I guess as a writer I shouldn’t condemn computerised gadgets, as I could not live without my PC, but think of how the writers of years ago sat with inkpot and quill and yet managed to pen masterpieces. Even I began by scribbling my stories using a pencil on paper. When graduating to a typewriter, we had no spell-check or in-built thesaurus, which meant we had to ensure our spelling was correct the first time round, especially if we were typing carbon copies, or spend precious time going back over our work to correct any mistakes. There is no doubt the computer makes us lazy, as I tend to rely on it at times to correct me as it saves me time. One thing I have no arguments with is Google—the best thing since sliced-bread was invented. I do not have to leave the PC, get in the car, drive to the library (even though I love the place) and spend hours swatting over research manuals. I do not even have to leave the page I am working on and can have any answer I am searching for within minutes. cleaner. Imagine having to take the rugs outside to bash the dust out of them. Later she had one of those carpet sweepers that you push along, but even they did not collect all the dust left behind by many feet. Floors were scrubbed by hand—no electric mops or carpet shampooers back then. The chimney had to be swept by a professional chimney-sweep, unless you had a brother like one of ours who decided one day that he could do a better job. Imagine my mother having to clean up an inch of soot that covered everything in the whole room, including furniture, with no vac! We certainly have it easy these days, and I love my washing machine, microwave oven, and computer, but not in that order, but there are times when I hanker for the simpler life I knew as a child growing up in the forties and fifties. Food, one of my favourite things. Actually its my three most favourite things. It has changed dramatically over the decades. Yes, I sad decades. Boo to time. None-the-less, we all have tastes that draw us to the breakfast, lunch, and dinner table. When younger I stuck to the three food groups: pergoies, pasta, and ice-cream. They indeed hit the spot. As time passed I changed to pasta, onions, and perogies. Better, but still needing refining. 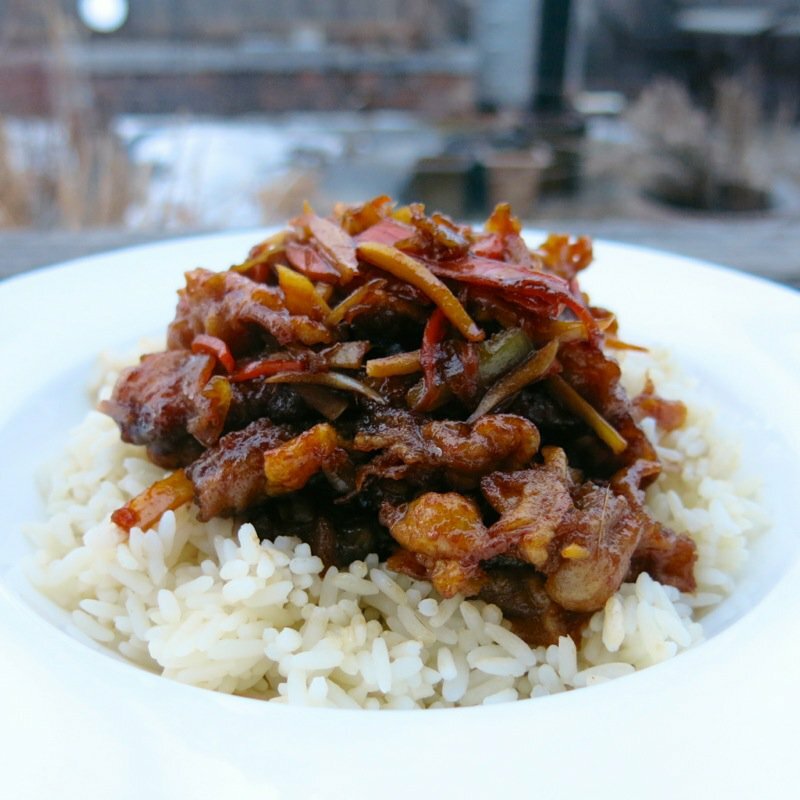 Asian influences moved me to a somewhat healthier diet, and spicy food. I still adore the power of peppers. I still have a favourite. Shin Ramen noodles with what I call my personal touch. Let’s stick to that because I’ve never come across the simple dish in a restaurant. Yup, I searched online. It shows up on a list half-way down the page. Let’s call that rare. It tastes amazing. However, they don’t…well, sit well with me. Thank you curry and ginger. They are amazing in small quantities. Just about any curry dish puts a smile on my face. Yum. Of course, it doesn’t compare to ginger. As a person raised in Alberta it is perhaps surprising that I am usually not a fan of beef. A trip to South-East Asia introduced me to my (currently) number one food. Crispy fried ginger beef. Crunchy goodness through and through. I have it about once a week. I shouldn’t, but I do. We make our way to the Caribbean soon. Might I find a new favourite dish there? I've been struggling with a current work in progress, His Unexpected Muse: Berkeley Square Book 3, because my characters are way too ordinary. I've been trying to imbue some darker aspects into them, and it's just not happening. For me, being a non-violent person (read mile-wide yellow streak down my spine) I often find it challenging to write conflict into my stories. Murder mysteries and thrillers with graphic content tend to make me squirm or give up reading or watching them. That’s not to say that I can’t appreciate good writing or great acting, just that I’d rather not have my sleep disturbed by bad dreams after experiencing it, thank you very much. Yes, folks, that’s just how much it can upset me. However, conflict is a must-have to write a good story. Without conflict, there really is no story. I think of an example I have given to writing classes in the past of a couple cleaning their teeth. Let's call them Amelia and Roger. They go into the bathroom. He takes the cap off the tube of toothpaste, squeezes it in the middle to get the required amount of paste on his brush, then gives the toothpaste to her. She does the same and, as soon as her toothbrush is loaded, she screws the cap back on. It's routine and boring. Nothing happens, and it does not move the story forward. Heck, it isn't even a story. BUT – what if they don't go into the bathroom together? What if Roger goes in first, showers, shaves, cleans his teeth? What if he squeezes the toothpaste in the middle and she likes to press it from the bottom, rolling it up as each part of the tube becomes flattened? What if he always throws it on the side of the basin and leaves the cap off, allowing just a bit of toothpaste to escape and make a mess on the porcelain which causes her to yell at him? And he bellows right back "it's only frigging toothpaste!" What if this happens every morning until she could just shoot him? Oh, oh. Did I say ‘shoot him’? This is not routine or boring. We have conflict. We have a story. What I have just described is external conflict, but that can lead to internal conflict as well. What if Amelia now struggles with herself? If she feels so strongly that she could shoot Roger, does that mean she doesn't love him anymore? Or does it just suggest that because he has not paid any attention to her constant requests for him to replace the cap on the tube of toothpaste, she is just totally frustrated with him? Her internal conflict could escalate to the point where she could convince herself that she has to shoot him for her own sanity. And if she really could fire a gun at him, where would she get it? Is there one in the house? Does she have a license to carry? If she did actually shoot him, what then? Would her shot kill him, or just wound him? Or, her internal conflict could go in another direction altogether. What if this is the one small thing that finished their relationship? What if she decided to leave Roger instead? What horizons does that open up? In these last two paragraphs what I've shown is person versus person conflict and then the internal conflict of one of the characters. Other types of conflict in writing could be a person against nature as in the movie about Aron Ralston who, after trapping his arm under a boulder in a Utah canyon, went five days without food and water before breaking his arm and amputating it with a pocketknife to get free. Or it could be a person against society as in any dystopian fable. A person against fate makes that person's freedom of choice seem impossible as in The Handmaid's Tale. A person against the unknown opens the door for all sorts of situations, I'm thinking Stephen King here. What about a person up against technology? Does anyone remember Hal the computer in the movie 2001 a Space Odyssey? 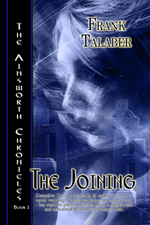 So now I am going to do interviews with my characters and hope that something dark emerges from each of them so that I can build it into a conflict between them. Hm. Actually, after writing this post, I can already see some possibilities with fate.